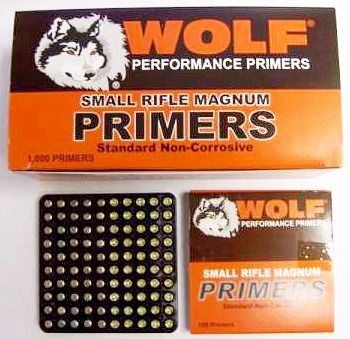 Many of our readers have asked “Where can we buy the Russian small rifle primers?” Currently, Wideners.com has the Wolf-brand, Russian-made Small Rifle and Small Rifle Magnum primers on sale for just $18.50/1000 or $87/5000. Test have shown these primers deliver very good accuracy and extremely low ES/SD with certain powders. However, we also note that the cup is harder than most domestic-made primers and a few guys have reported some ignition problems if they run a fairly “soft” firing pin spring in a Benchrest action. We’ve had no problem firing these primers from Remington and Savage actions with a normal firing pin spring. Share the post "Widener's has Russian Primers on Sale"
The current issue of The First Shot, the CMP’s online magazine, features a well-written article on Prone Shooting Technique by SPC Matthew Sigrist of the U.S. Army Marksmanship Unit (USAMU). The article covers all the major points of gun hold and body position: hand position, elbow position, stock weld, buttstock placement, and sling position/tension. Share the post "Prone Shooting Tips from the USAMU"